Some say it’s anti-Semitism, but it’s more like Islamophilia. On Friday, a German court affirmed a ruling that an attempt by three Muslims to burn down a synagogue was not motivated by anti-Jewish feelings, but by a desire to draw “attention to the Gaza conflict.” As a result, the criminals (jihadists?) will get no jail time. 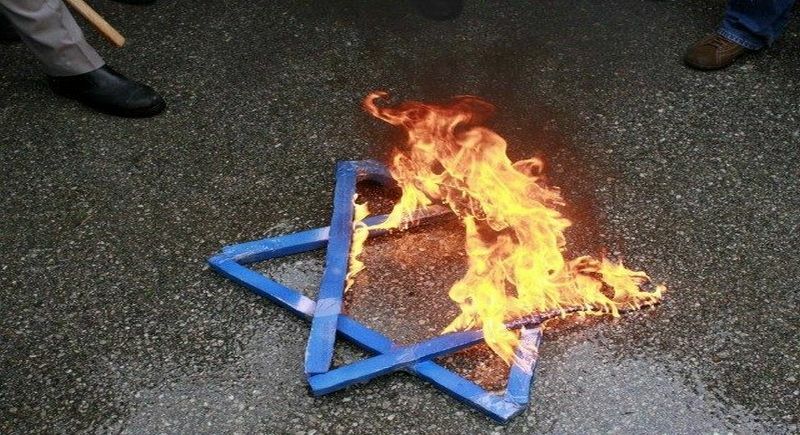 The incident occurred in July 2014 in Wuppertal, a small town in North Rhine-Westphalia, when 31-year-old Mohamad E., 26 year-old Ismail A., and 20-year-old Mohammad A. threw Molotov cocktails at the town’s synagogue, causing $850 in damage. Though alcohol is generally considered haram (forbidden) in Islam and is outlawed in many Muslim countries, the men claimed they were drunk when committing their act, after a post-Ramadan celebration. Perhaps what’s needed is to strengthen the “Sharia police” — whose goal is the enforcement of Islamic law — and who’d been patrolling Wuppertal streets in 2014 (video below). Of course not. Fire’s characteristics are completely different in Muslim cultures. Accepting these arguments, a German regional court in Wuppertal affirmed a lower court’s 2015 decision that the three Muslims’ motivation was to protest Israeli policies, not to express anti-Semitism. They all received suspended sentences. While some outlets have claimed the court called the attacks justified, in fairness, this likely isn’t true. Rather, no doubt at issue are Germany’s “hate crime” laws: had the mind-reading, thought-punishing government deemed hate the motive, the criminals would’ve been punished more harshly. But a pesky protest burning is a different matter. That can be a sober, intellectual act, sort of like penning an anti-Islam treatise — which can bring punishment in Germany. As to this aggression, consider German research reported in 2010. After studying 45,000 young people, it found that increasing religiosity among Christian youths made them less violent. And Muslim youths? Increasing religiosity actually made them more violent. This could be an inexplicably anomalous result. Or it could be that the moral guides “What would Jesus do?” and “What would Mohammad do?” yield very, very different results. Selwyn Duke (@SelwynDuke) is a traditionalist media personality whose work has been published widely online and in print, appearing at outlets such as The Hill, The American Conservative, WorldNetDaily, Observer and American Thinker. He has also contributed to college textbooks published by Gale - Cengage Learning, has appeared on television and is a frequent guest on radio. The One Good Thing about the Obama Presidency….